Working together to stay prepared for a medical emergency | Live Healthy S.C.
We were recently joined by numerous community partners throughout the Midlands Region for a two-day public health preparedness exercise at the SC Fire Academy. Led by the Midlands Region Healthcare Coalition, participants received joint mobile field hospital and communications training. During the event, our Midlands Region Office of Public Health Preparedness team managed logistics for both the training and exercise. Preparation, communication, and teamwork are key components to responding to a large-scale medical emergency. As part of DHEC’s effort to keep our state prepared for medical emergencies that exceed the normal capacity of the medical care community, our Office of Public Health Preparedness team provides statewide training and access to Blue Med Units, also known as mobile medical units. Currently, we have 6 Blue Med Units located around the state. The mobile units are made available for use by medical facilities in anticipation of the need for rapid expansion due to a public health event such as a pandemic. In case of a public health emergency, these units are able to be quickly deployed anywhere in the state. Thanks to the efforts of the our Office of Public Health Preparedness team, hospitals across the state now have access to mobile medical units and are better prepared to handle a potential health crisis. We appreciate all the hard work being done by our Public Health Preparedness team and the medical community to help keep SC educated and ready. Together, we can make a difference. 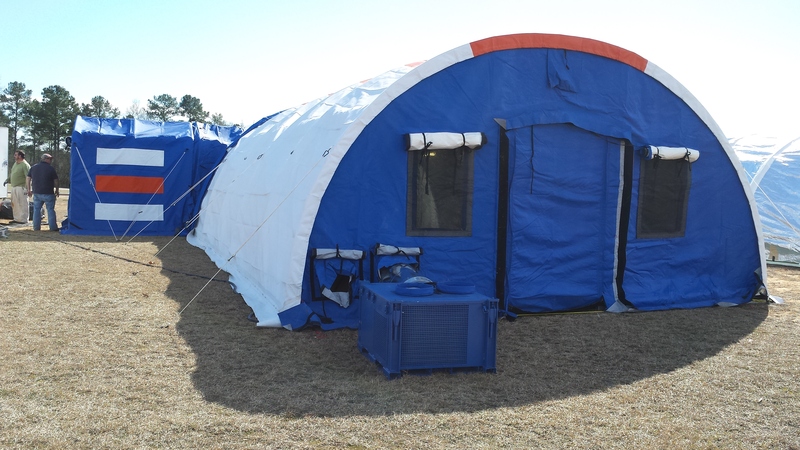 This entry was posted in Uncategorized and tagged Blue Med Units, Mobile Medical Units, Office of Public Health Preparedness on March 6, 2015 by SC DHEC.